Time to roll out my BFD uploads for 2013, a tradition that began last year with eight consecutive nights of Chanukah gifts, for you dear readers. A few days ago I spread the good news that I would be bringing the series back, and it is with this waaaay out-of-print Jellyfish 4 CD box that I am going to commence the festivities. 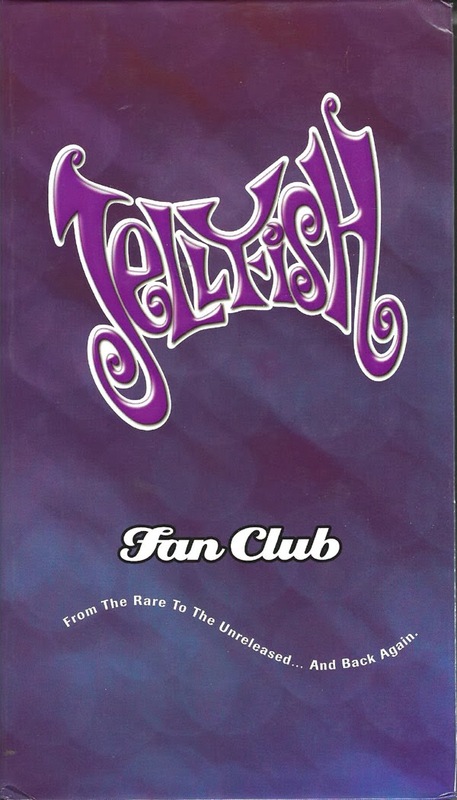 For the uninitiated, Jellyfish were one of the leading "smart" pop groups of the late '80s and early '90s - not quite power pop, but almost entirely too crafty and catty for the banal Top-40 set. Featuring alumni from Beatnik Beatch (Andy Sturmer, Roger Manning, Jr.) and The Three O'Clock (Jason Falkner) Jellyfish embraced a pronounced psychedelic appearance, that wasn't necessarily a reflection of their music, but made for decent eye-candy on MTV. Couched inside this colorful visage were highly melodic tunes, ten of which occupying Jellyfish's Charisma Records debut, Bellybutton in 1990. It produced a pair of moderately successful singles in "Baby's Coming Back," and "The King is Half-Undressed," but frankly, the album as a whole functioned like a great hits package unto itself. There was a slight delay with the second and final JF album, Spilt Milk, which tumbled into record shop racks a good three years later. Exponentially more ambitious and gratifying than the band's debut, Spilt Milk was a sophisticated concept LP, which barely made a ripple, even with the Bellybutton crowd from what I recall. Problem was, Jellyfish's paisley ethos ran diametric to a world that had recently embraced flannel and Doc Martens. Not long after the last drop of milk evaporated from the floor, Jellyfish parted ways, but over the ensuing years, die-hard fans were still clamoring for more. 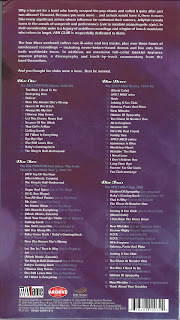 To quote the liner notes on the back cover, as luck would have it, there is more. The "more" is two very packed CDs of demos and outtakes, one dedicated to each album, and ditto to two more disks of live/radio session material from the accompanying Bellybutton and Spilt Milk tours. 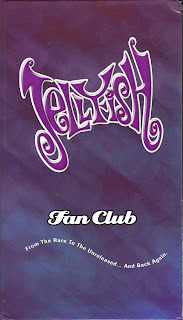 While the 80-track Fan Club will be of considerable fascination to established customers, I suggest newcomers would be served better by investigating Jellyfish's two proper albums beforehand. 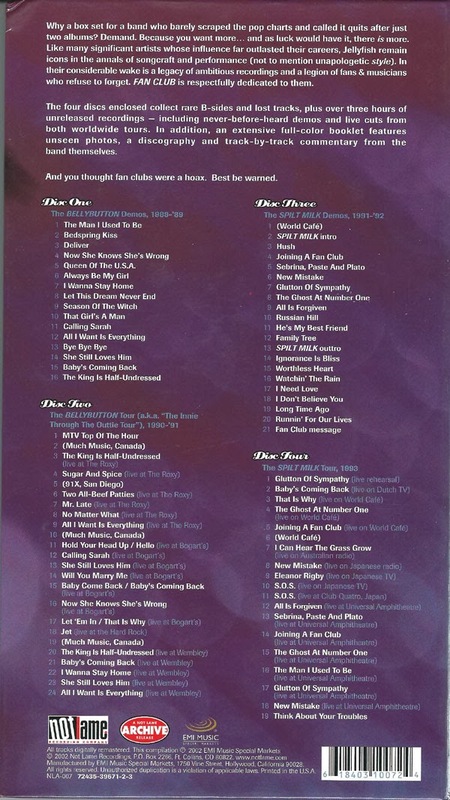 Links to each disk are the track listing headers below. Enjoy responsibly. I actually have this box set. Absolutely love it. I was lucky enough to see Jellyfish on the Bellybutton tour. Such a great band, so hopefully this turns more folks onto them! WOAH! This is truly a gift. Thanks so much man - I'm joining a fan club with my internet friends! Wow! I was listening to Imperial Drag and it reminded me of Jellyfish. Hard to find these days especially the box set. Thanx and happy Chanukah! I so so so like Spilt Milk, and "New Mistake" is in my fifty songs ever, and etc etc. Didn't have this, and I'm delighted. Thank you! Thanks for this. Spilt Milk is a largely ignored masterpiece, and the more Jellyfish the better! Files have been deleted from netkups due to inactivity. Any chance we can get an update? This is amazing! Been looking of this for years. I had the chance to buy the box set one day, but didn't because of the price. I came back a few days later after I'd been paid and it was gone... Regretted that ever since. Any chance of getting an update on the netkup files? But 1st link (Bellybutton demos 1988-89 CD 1) is broken. Sorry. I have been looking to get a copy of this set, but it's ridiculously prohibitively expensive at this point. Thanks for putting this on here (nearly 3 years ago to the day!) - I managed to download the final 3 discs but the initial disc's link is broken. Can you repost/upload? Thanks so much for this and for introductions to so much other music on here! just discovering this band. any chance of a re-up on this one? Song Of The Day: Cows, “Finished Again” - Taken from the Amphetamine Reptile release, *Sorry In Pig Minor*. The Bamboo Fringe - Someday - 7" Single, released in 1985 The Bamboo Fringe - Someday (A-Side) The Bamboo Fringe - Turn On The Lights (B-Side) Flip Me! You're funny and you don't even try. Do you have the guts to pick up a penny? From Bell South down to a southern belle.